In tonight’s episode of Kumkum Bhagya, Abhi and Pragya end up going to the same temple. While Pragya is climbing up the stairs, Abhi spills a plate of kumkum in her face by mistake. Because of this they both don’t recognize each other. However, Pragya hears Abhi’s voice when he apologizes to her. She begins looking around to find him. In the next episode, Abhi is back with his Daadi in the temple. She tells him that she saw Pragya in the temple. She tells him that God answered her prayer, now Abhi must go meet her. Abhi believes his Daadi’s words and runs to look for her. Meanwhile, Pragya is also searching for Abhi after she thinks she heard his voice. When she hears her name being called, she begins to run towards the sound. 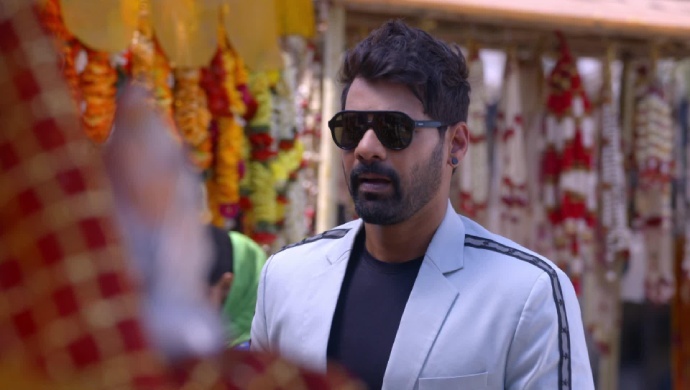 Will Abhi finally meet Pragya after 20 years of separation? Stay tuned to find out.